The EUR/USD currency pair rebounded from the level of 38.2% three times in a row, which is a sign of a reverse. The first target for the bears will be the previous level of 38.2%; if they break it, the pair will continue falling down. 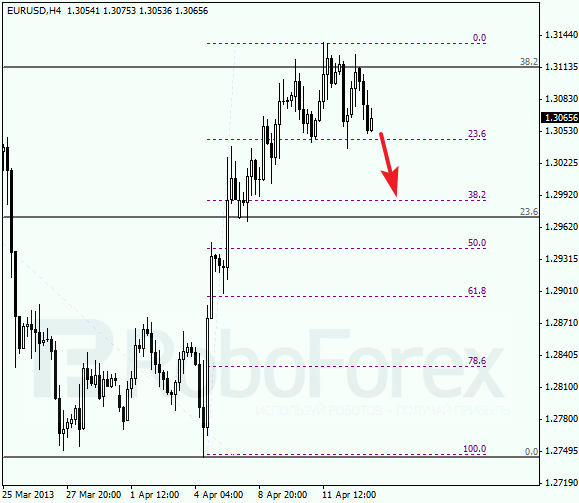 At the H1 chart, we can see that there are several fibo-levels in the target area. Analysis of temporary fibo-zones indicates that predicted levels may be reached by Tuesday. After the price breaks the minimum, I’ll move the stop into the black. Franc is moving above the level of 50% again. Most likely, in the nearest future the price will continue growing up towards the previous level of 38.2% (the dash-line). If the market breaks it, the price will continue moving upwards. 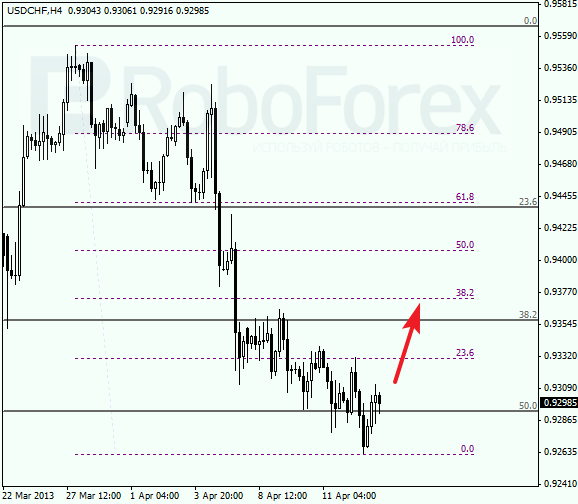 As we can see at the H1 chart, there are several fibo-levels in the target area. Analysis of temporary time zones indicates that the bulls may reach the level of 0.9370 tomorrow. Maybe I’ll open one more long position during this ascending movement.